Title: Is Florida Being Re-Wilded Through Drought, Fires, and Hurricanes? Subtitle: Florida is suffering through her most severe and most widespread droughts ever in the region. Wildfires naturally follow extreme drought. As we examine the pattern of wildfires and of the KBDI Drought Index, we abruptly realize that this pattern is eerily similar to the pattern on the U.N. Biodiversity Map showing those areas which will be off-limits to normal human habitation! Florida is in the midst of one of the most severe droughts in her history. Florida is also on fire. As we shall show later, these fires form a pattern very similar to the United Nations Biodiversity Map which designates those areas on which humans will not be allowed to live! This process is also called "Re-wilding". Before we get into the current grave drought and wildfire situation in Florida, let us examine this Re-wilding process. 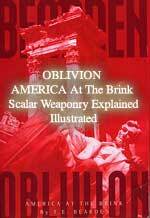 If you have not yet heard of this draconian plan to set over 50% of the entire United States off limits to normal human habitation, prepare to be shocked. America's Map is being quietly redrawn, to create vast areas where no human activity -- especially living -- will be tolerated. This plan is called the "Rewilding" Project. Once it is fully implemented, you will be told where you can live and what occupation you will be allowed to work, if you are allowed to live at all. Weather Modification and Control are the specific tools being used, because the storms look so "natural" no one would suspect that they were deliberately created and steered, in order to achieve the desired effect. The New World Order Plan -- represented by this map -- envisions that over 50% of America will be set aside so that no human activity whatsoever can occur within these set aside areas (Red "Core Reserve" Areas on above map, plus the Yellow "Buffer Zones"). This plan is being implemented, right under our very noses, and always with the highest sounding rhetoric possible. It seems to be a principle with the Illuminati, that, whenever they want to enact legislation that will destroy us, or enslave us, they do so with the highest flying rhetoric they can possibly write. I guess we should beware whenever we hear a politician sounding off about how much they care about us, or how much they are about to do for us! Adolf Hitler was one of the greatest orators who ever lived; all his programs were instituted with high-flying rhetoric. Now, let us look at these two instances where the "collective needs of non-human species" [like the spotted owl, other endangered species, including fish] are being given precedence over the needs of man. In other words, you, the private property owner, will be notified just before your land is to be confiscated. The government will base its actions upon both this land use bill and its established right of "eminent domain". When this plan gets into full swing, the landowner or property owner should not expect to receive a dollar value anywhere close to the full market value of their property. Of course, everyone will want to move out anyway, because the normal economy of this region will immediately be ruined, as all natural resources will be declared "sustainable preserves" that will be off limits to any business or city for any reason. Commerce will die, as is the plan! This map is an official Florida map, showing active fires throughout the state. Notice the various categories of fires, and prepare to be shocked. 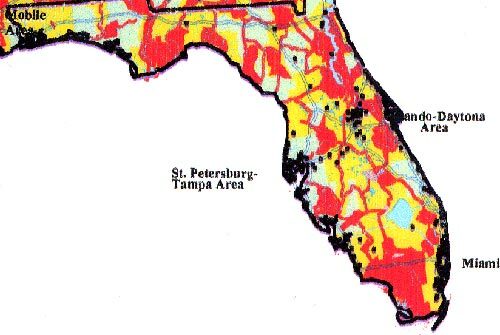 Red denotes "Core Reserves & Corridors: Little to no human use"
Yellow denotes "Buffer Zones: Highly Regulated Use"
Of course, Florida is burning because Florida is in the midst of a severe drought. Let us examine this situation more closely. "MIAMI: Water levels in Florida's dried-out Lake Okeechobee dropped Wednesday to match a historic low set in 2001, while firefighters battled a blaze burning on part of the exposed lake bottom. The South Florida Water Management District expected the water level to drop below the record of 8.97 feet (2.73 meters) on Thursday as the region's worst known drought continues. The 12,000-acre (4,856-hectare) fire started Monday in vegetation left dry after lake waters receded from its northwest rim, said Melissa Yunas, a spokeswoman for the Florida Division of Forestry. The cause of the fire was unknown." It is incredible that such a huge lake could drop this much in overall water levels! How important is Lake Okeechobee to the average resident? "Lake Okeechobee is the primary backup reservoir for 5 million people in South Florida during dry periods." Where is Lake Okeechobee located? You can clearly see the lake in southern Florida, in this Google map, above. But, the Biodiversity map shows this lake also. If you look at this Florida Biodiversity Map, you will see the map located in southern/eastern Florida, with a large black dot located at the bottom right of the lake. To the lower right, out in the ocean, the city name, "Miami", is printed. This lake sits right smack dab in the middle of a Yellow area, surrounded by Red areas. We have identified three (2) major Weather Control - Weather Warfare weapons which are hitting Florida right now. "Since January 1st, 2,473 wildfires have burned 350,192 acres in Florida. In recent weeks, the Keetch-Byram Drought Index has risen to a statewide average of 560. The Keetch-Byram Drought Index measures the amount of moisture in the upper three feet of soil - which ranges from 0 (flood conditions) to 800 (desert-like conditions). Thirty eight Florida counties currently have a KBDI reading of over 600." We believe that Florida is in the midst of this extreme drought and in the resultant wildfires, in order to drive the people off the land. 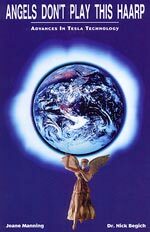 With so many End of the Age prophecies taking place throughout the world, we know that the "Cleansing Cycle" of Antichrist is also very close. Remember that, in order to cleanse the earth of people, hurricanes and floods and drought/wildfires do not have to be the means by which residents are forced to leave their land. In fact, private property owners have proven to be very resilient in the face of such disasters.